David Hicks has been trying cases since 1972. 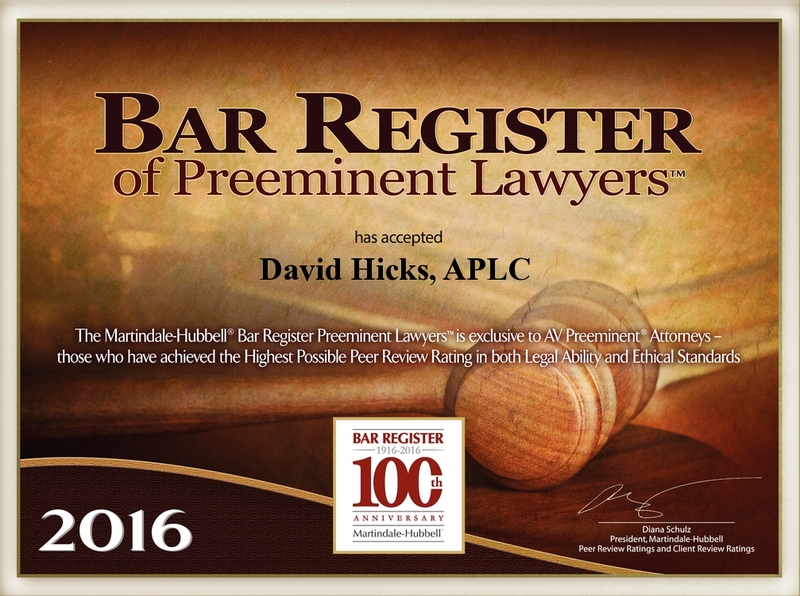 He is a top-rated business lawyer and well-respected trial lawyer who has been listed in Martindale Hubbell’s Bar Register of Preeminent Lawyers. His firm assists all types of business in developing consonance between business operations and legal issues.